Although normally we have a ton of technical information for you, this time around, we wanted to take an opportunity to share with you an awesome customer story we had happen a couple weeks back. CorkSport is all about growing our family base, and constantly trying to connect with our community. Let’s be honest, we are here because of our family of customers, and we will continue to be here as long as our family is as well. As most of you know, our company runs on internet-based sales, but we are also present Monday through Friday in the office to field any walk-in customers we may have. Anyone is welcome to come visit us at our HQ, and also to pick up parts we have in store. 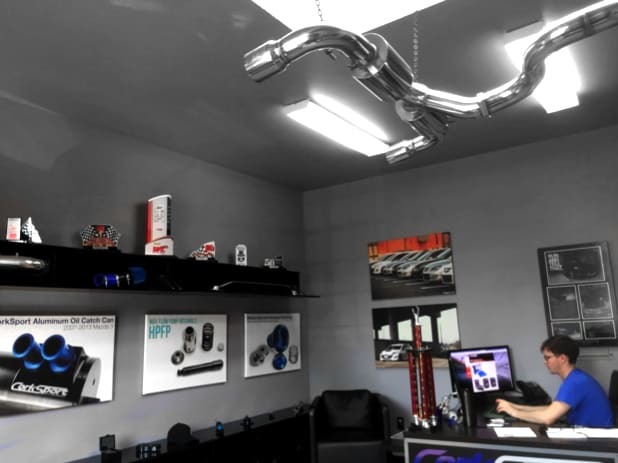 Most people wouldn’t guess that we have a showroom, but as you walk in you can see an exhaust hanging from the ceiling, and a handful of parts we display on the shelf, so people get an idea of what we do in-person. We would love to see more people come through our front doors, and we welcome anyone from anywhere to come visit us. A couple of weeks ago, we were paid a special visit from a customer named Rick and his wife, who came all the way from South Carolina on some business, and wanted to stop by CorkSport while they were in town. Rick and I had a conversation about adding some Drag Bags to the rear of his MS3 in order to keep it from rubbing. He later called and told me it worked perfectly and thanked me for my recommendation. Rick has a first generation Mazdaspeed 3, and he was wondering what type of modifications he would need in order to make a certain whp. After chatting with him for a bit, and giving him a list of parts he would need to reach his goals, we decided it would be a good idea to snap a couple pictures to make sure we saved the memory! After Rick and his wife had left, I realized that those are the types of experiences and interactions that our team at CorkSport loves. It was very refreshing to talk with a customer multiple times, and then be able to put a face to the voice on the other end of the phone. 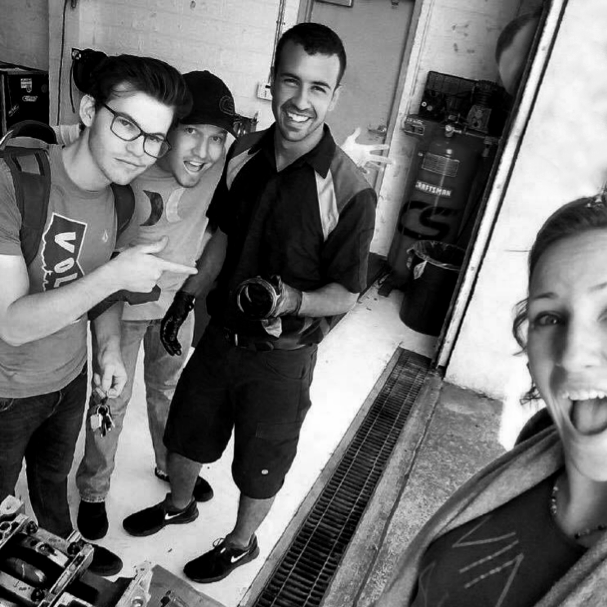 This is what CorkSport is all about. We are here for YOU. We want to see you succeed. CorkSport takes a lot of pride in making sure our customers come first. It’s also our highest priority that if you as the customer ever feel like you are not being valued like you’re “Number One”, we will do what we need to in order for you to feel that way. CorkSport wants to make sure the entire community is part of our family. We would love nothing more than to hear our customers feeling like they can come to us for anything, just like Rick did, because well… that’s what family is all about. Next PostNext RX-9 Rotary Engine Puzzle: Confirmed?